Lincoln sits on the site of a Roman fortress. 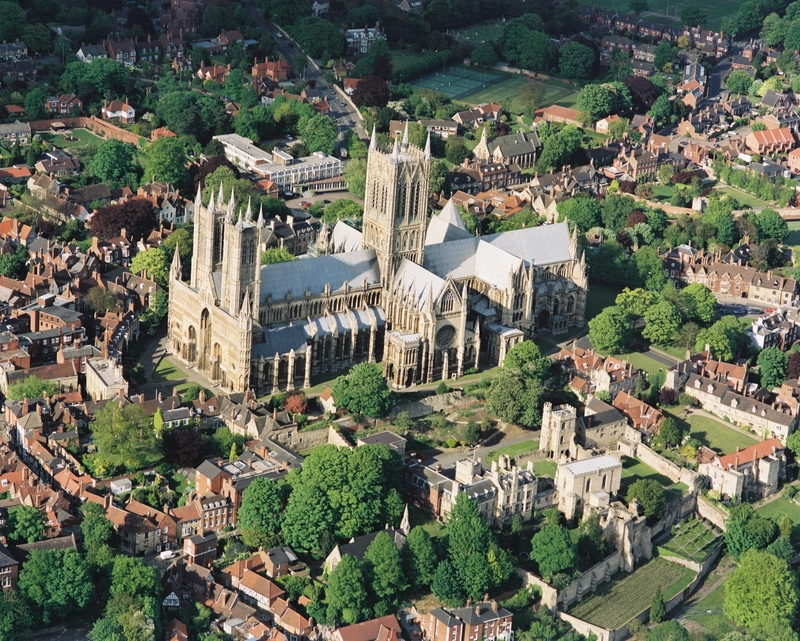 The Romans grouped the local people together in great cities such as Lincoln (and York for example). Enclosed by great walls, the local people in the cities governed themselves but paid taxes to the Romans. Great roads linked the cities. The Roman road known as Ermine Street, which connects York and London, runs through the city. 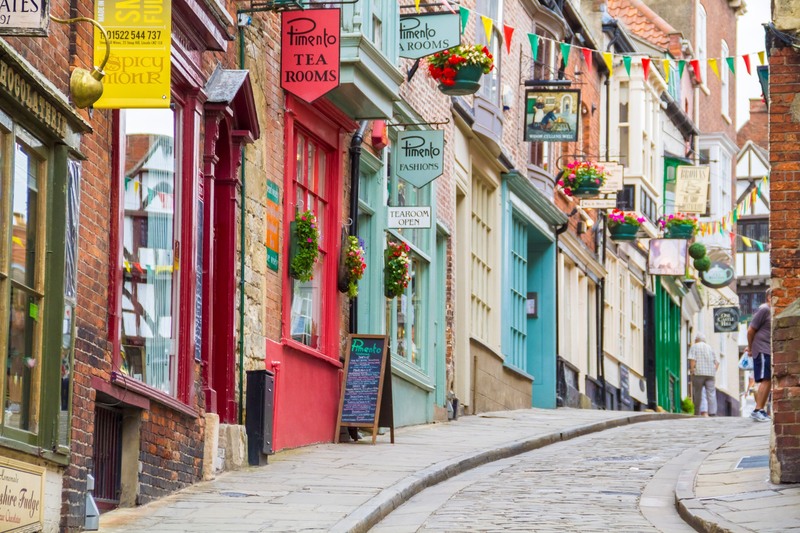 Rated as one of the prettiest streets in England, Ermine Street is now Lincoln’s Steep Hill. Another Roman road, the Fosse Way, connects the city to the south-west. Well connected by roads, Lincoln became important. In the time of William the Conqueror Jews lived in the Jewish Quarters, Jewries, of some towns. The king depended on Jewish finance to build castles and cathedrals. In Lincoln and some other towns there were Jew’s Houses. These were some of the first stone houses to displace the traditional hovel. The Jews House restaurant in Steep Hill occupies a medieval building dating from about 1150. The building was home to the C13th Jewess, Belasset de Wallingford. 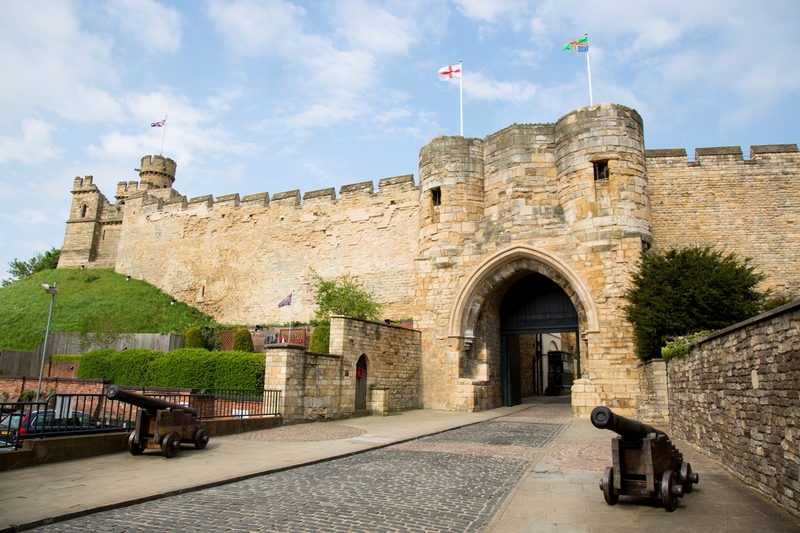 William the Conqueror had to cope with Anglo Saxon uprisings, so he built a number of castles including Lincoln. The first Norman castle in England, it dates from 1068 and is on the site of once crumbling Roman defences. The Castle later came under siege and was at the centre of two important battles. The heir to Henry I died on the White Ship. The King and Queen could only watch from another ship as The White Ship sank leaving the port of Harfleur. In the 1140s, cousins Stephen and Matilda vied for the throne. Twenty years of terrible civil war followed. In 1140, Matilda seized control of the Castle at Lincoln which was then one of the richest cities in England. Stephen’s army attacked and Matilda had to flee. But, Matilda’s side took the castle back by stealth. In 1141, Matilda’s forces captured Stephen and held him captive in her stronghold in Bristol. The blood-thirsty civil war lasted until 1153 when the barons accepted Stephen as King but Matilda’s son, Henry, as his heir. Henry II became King in 1154 and was father to Richard I, the Lionheart, and John I. In 1217, the second battle of Lincoln came eight months after the death of the notorious King John. The sealing of the Magna Carta, had ended the First Baron’s War. A copy of the Treaty may still be seen in Lincoln today, But, John had it annulled by the Pope, and war broke out again after the death of John. The rebels were supported by the French king. The war came to a head at the Battle of Lincoln in 1217. By this time, the majority of the English Barons supported the new King Henry III and the warfare soon ended. Today, visitors can follow the trail of the retreating French soldiers from the castle, down Steep Hill. William I ordered the building of a Cathedral in honour of his supporter Remegious, the first Norman Bishop of Dorchester. The Cathedral was consecrated in 1092, after Remegious had died. 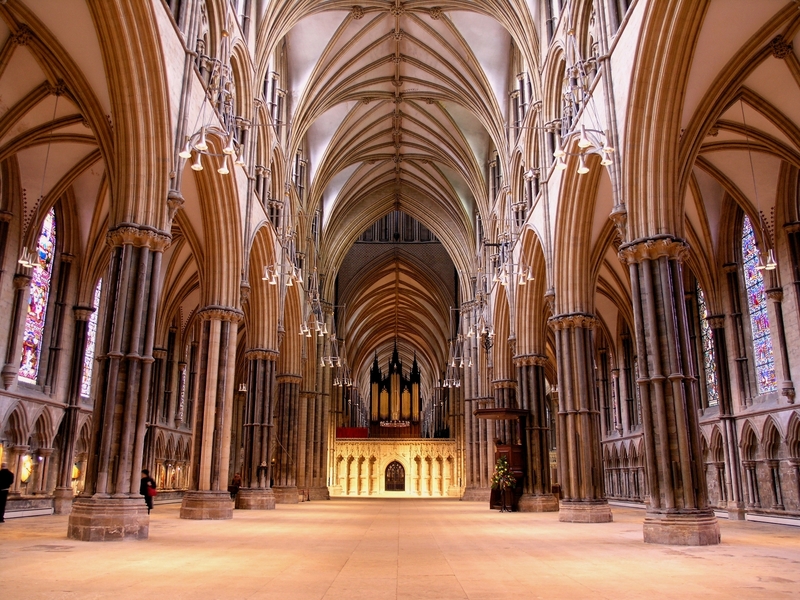 Following an earthquake in 1185, the Bishop of Lincoln built the present Gothic style Cathedral between 1192-1250. There are however, original Norman parts remaining on the West Front. The style is Early English and used much Purbeck stone. Spires, added in 1311, made it the tallest building in the world for over 300 years. The Cathedral has medieval carvings, stained glass windows and a library designed by Sir Christopher Wren. 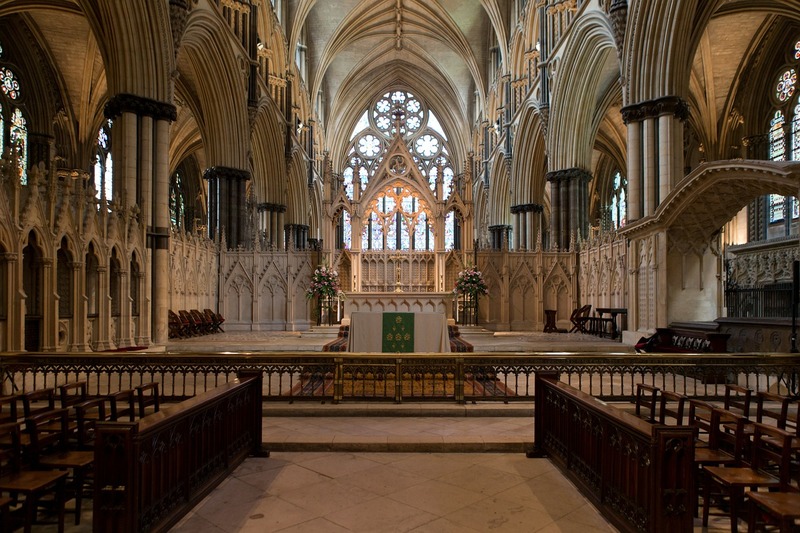 The polygonal C13th Chapter House is ten sided (decagonal), and the choir stalls are among the finest in England. The Collection Museum combines an award-winning museum of archaeology and the region’s premier art gallery, the Usher Gallery. The building dates from about 1230 and was part of the Grey Friars monastery. The museum is open daily from 10 – 4 and entry is free. All public areas are accessible. Ellis Windmill on Mill Road is the only remaining mill of nine on that road. The present mill dates from 1798, but there has been a mill here since the mid C17th. The mill ceased work in the 1940s and then it became derelict. The Lincoln Civic Trust restored the mill and it has ground flour ever since. It is managed by Lincolnshire County Council. In modern times, Lincoln became a centre for engineering. The town was important in the development of the tank. And was famous for producing aircraft in both world wars. There were six RAF bases in Lincolnshire, the Bomber County, during WW2. 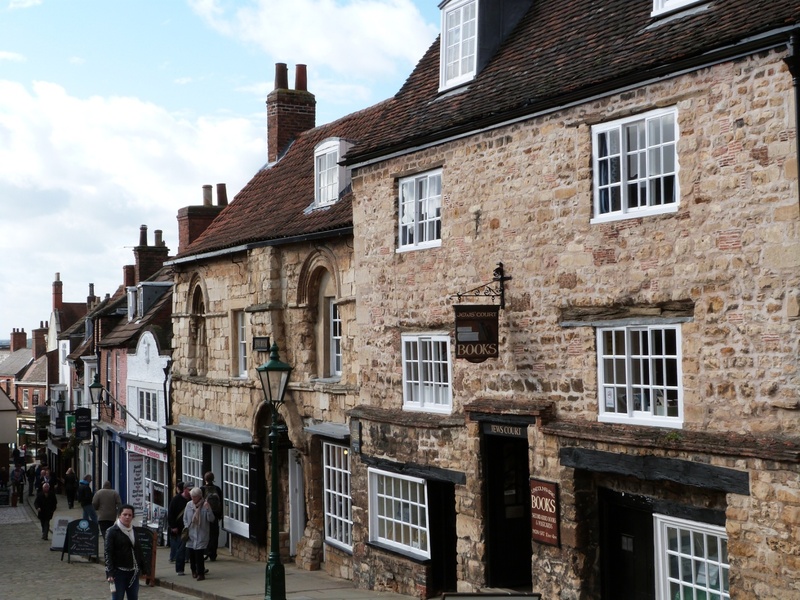 If you enjoyed a visit to Lincoln please tell us about it. Previous PostKendal a green and beautiful town!